The SEC's Conflict Minerals Rule, Exchange Act Rule 13p-1 and Form SD, which was adopted under the Dodd-Frank Wall Street Reform and Consumer Protection Act, has been controversial throughout its short history due to questions of business materiality and the costly due diligence requirements of the rule itself. The rule requires public companies to investigate the origin of specific minerals that the companies use in their manufacturing process. The public policy purpose of the rule is to expose the risks of supporting armed groups in the Democratic Republic of the Congo (DRC) and surrounding countries through the purchase of so-called conflict minerals. If those minerals are found to have originated in certain covered countries (DRC or countries that adjoin the DRC), or the company has reason to believe that its minerals originated in those countries, then it must perform due diligence on the source and chain of custody of the minerals. This due diligence step also requires an independent audit. The results of the due diligence must be filed in a conflict minerals report, attached as an exhibit to Form SD. This rule has been contentious from its inception, and now its status is in question due to the decision of the U.S. Court of Appeals for the District of Columbia Circuit in National Association of Manufacturers, et al. v. SEC, et al., No. 13-5252 (D.C. Cir. April 14, 2014). In that case, the Court rejected challenges to the conflict minerals rule under the Administrative Procedure Act and the Securities Exchange Act of 1934, but it found that the rule's requirement for companies to report on their websites and to the SEC that a product has "not been found to be 'DRC conflict free'" violated the First Amendment. The Court found that the rule effectively compelled issuers "to tell consumers that its products are ethically tainted" and that such compelled speech was unconstitutional. Issuers' first reports under the conflict minerals rule are due on June 2, 2014. The NAM decision, however, threw into question whether the rule was still in effect and whether companies would still be required to file their reports on that day. The SEC's Division of Corporation Finance clarified that question in guidance issued on April 29, 2014. In that guidance, the Division stated that it "expects companies to file any reports required under Rule 13p-1 on or before the due date." If companies perform a "reasonable county of origin inquiry" and determine based on that inquiry that they are not required to file a conflict minerals report, then they should disclose that inquiry and briefly describe it. If a company determines based on its country of origin inquiry that it needs to go farther and take the steps required to file a report, it should file a report that describes the due diligence that it undertook. However, as a result of the NAM decision, if the company has products that previously would have to have been described as either "DRC conflict undeterminable" or "not found to be 'DRC conflict free,'" the company does not have to make those disclosures, but it "should disclose, for those products, the facilities used to produce the conflict minerals, country of origin of the minerals and the efforts to determine the mine or location of origin." In effect, companies are required to disclose the factual findings without making the particular descriptive disclosure that the D.C. Circuit found objectionable. Another change that the guidance makes from the original requirements of the rule is that no independent private sector audit is required unless a company voluntarily elects to describe any of its products as "DRC conflict free" in its report. In furtherance of the guidance from the Division of Corporation Finance, and to provide additional clarity, the Commission itself issued an order on May 2, 2014 staying the portion of the rule that would require issuers to make the statements that the D.C. Circuit held would violate the First Amendment. That portion of the rule is stayed pending the completion of judicial review. In its May 2 order, the Commission also denied the motion filed by the National Association of Manufacturers, Chamber of Commerce, and Business Roundtable for a stay of the entire rule. The final development in this rule controversy is that the National Association of Manufacturers, the U.S. Chamber of Commerce, and the Business Roundtable made an emergency request on May 5 to the D.C. Circuit Court of Appeals to stay the effectiveness of the rule until the district court had decided the appropriate course of action upon remand. In the meantime, unless the Court of Appeals issues a stay, companies need to proceed with the steps required in Exchange Act Rule 13p-1 and Form SD. 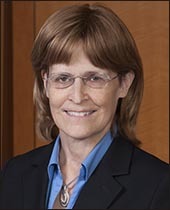 Nancy R. Grunberg is a partner in McKenna Long & Aldredge’s Washington office. A former SEC enforcement attorney, she focuses her practice on securities law and financial disclosure matters. 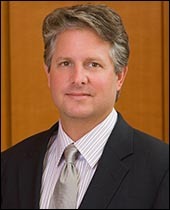 Jon D. Sohn is of counsel at McKenna Long in Washington. He is an experienced climate change, energy and natural resources attorney and public policy adviser who previously worked at Climate Change Capital LLC.